Just started with Vue? Please read part 1 first. It’s a small introduction into the Vue framework. In part one we have created our first application using Vue. Functionally that application is complete but it is lacking a nice architecture, it is not translated, it did not have any unit tests and we did not leverage the complete power of single file components and CLI tooling to scaffold the project. This is something I really like. Having a single file component we can put together all the code related to one component into one single file. The resulting file has the .vue extension and includes code for the template, the script and the styling. Vue CLI is a full system for rapid Vue development. It is a runtime dependency that is built on top of Webpack. Vue CLI aims to be the standard tooling baseline for the Vue ecosystem. Vue CLI needs to be installed globally. When installed, start a new Vue project using the command vue create <app-name>. It asks questions about what build tool and what package management system to use and after that it creates the complete project structure. 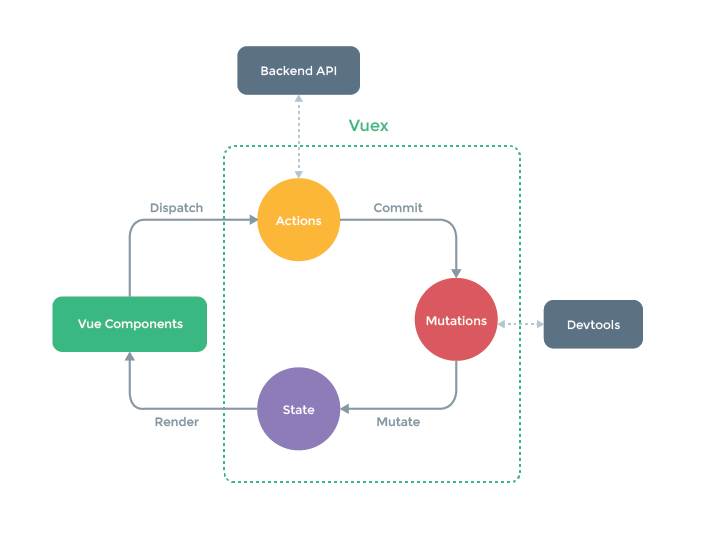 Vuex is a state management pattern and library for Vue applications. It serves as a centralized store for all the components within an application. What is a “State Management Pattern”? Actually it is the shared state of the components managed on a single location in a global singleton. With this single location for state, all the components can access and modify the state no matter where they are in the component tree. The basic idea behind Vuex is inspired by Flux and Redux. Although Vuex helps us deal with shared state management, it also comes with the cost of more concepts and boilerplate. It is a trade-off between short term and long term productivity. Vue I18n is internationalization plugin for Vue.js. It integrates localization features into your Vue.js Application. Last but not least; Code needs to be tested! Previous Previous post: Vue.js; AngularJS done right! If you don’t have people that care about usability on your project, your project is doomed.